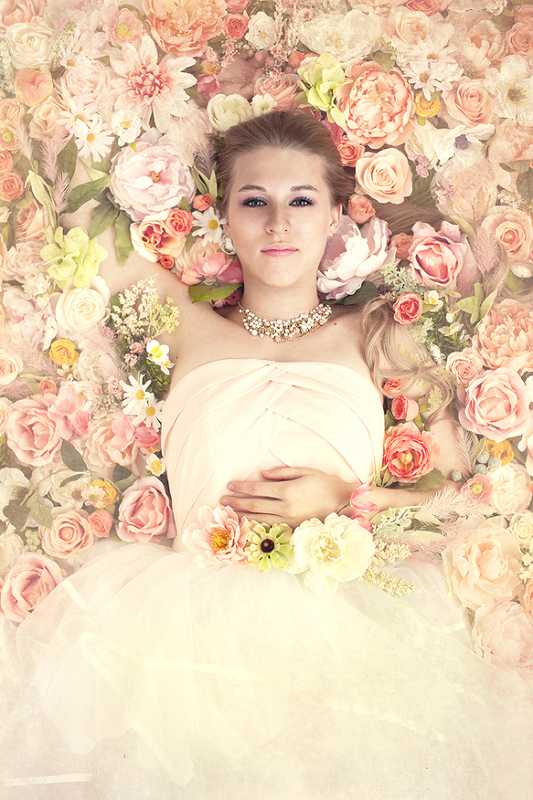 Laying in a field of flowers, dressed like a princess is pretty much a dream, right? 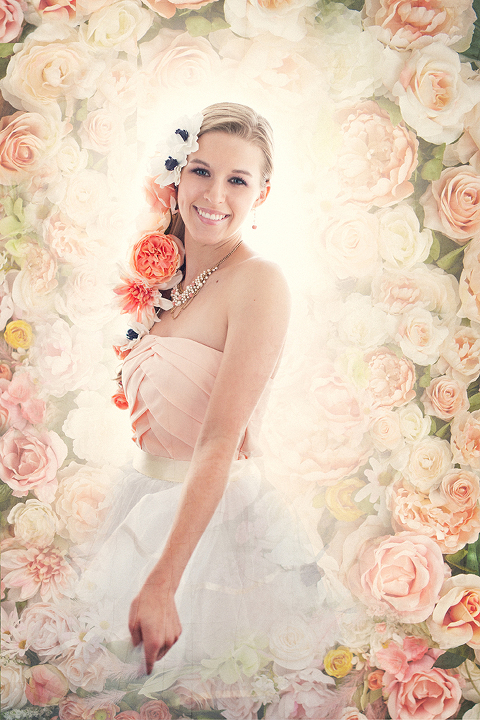 For the longest time, I dreamt of some day creating my own version of a girl in a field of flowers, just like Sue Bryce originally did. Briauna is my trusty right hand girl at work. We both work in the Innovation Department for iHOMES COLORADO and she gets to put up with all of my craziness and has become a really great friend of mine. She is the kind of girl who is curious about the world and loves to travel but yet will not turn down a good breakfast date at Snooze. One day, we headed off to Michael’s to do some shopping with a co-worker for her wedding. As we walked through the floral department, I found myself collecting more and more flowers. I discovered that they were having an incredible sale, looked at Briauna and said, “Do you want to be photographed lying in a field of flowers?” She replied, “That would be incredible” So I made it happen. Sue Bryce has been such a big inspiration and influence in my work as of the past few years. When I was still in business I really focused on glamour portraiture during my last year. Once I decided to close my business and move to Colorado with my husband, I felt like something was missing. 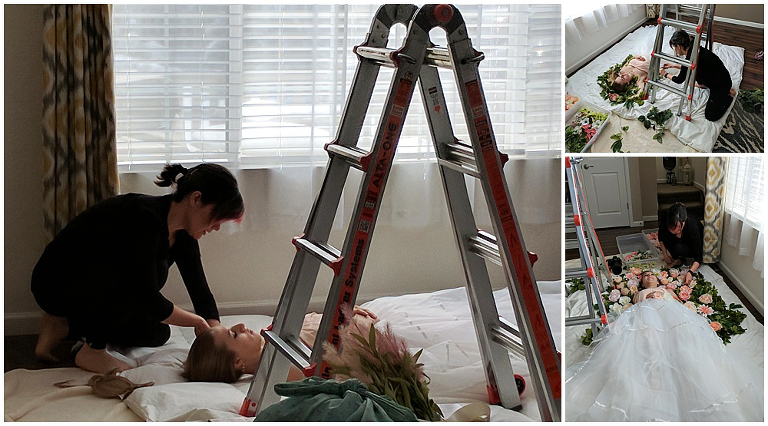 I really missed glamour portraiture and it became so evident to me when I made an Instagram post for my friend Liz on her wedding day with a few of the portraits I had taken of her. I knew that Briauna would be perfect to create this image and perhaps a couple more. 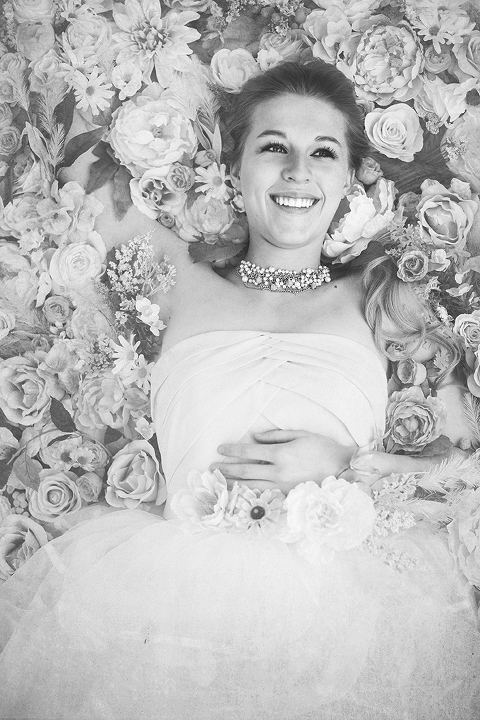 It took almost two hours to arrange all the flowers around her and take her portrait. I had her laying on two comforters to keep her as comfortable as possible. Throughout the shoot I learned a couple of things: maybe 4 comforters would be better and that I should prop up her upper body ever so slightly to get a better angle of her face.